Welcome, my name is Lee. Psychic readings are something that my family has been doing for many generations. I have been performing readings since I was a child with amazing accuracy. I have been able to help thousands of people over the span of my career and I very much look forward to helping many more. I truly believe that my calling is to help others gain greater insight, peace of mind and understanding of any situation that may be bothering them, via my readings. Professionalism, compassion and honesty are things I pride myself on with my readings. I primarily offer psychic intuitive readings, but I can also use various tools to do your readings, depending on your preference. You need only give me your first name and the first name of anyone you wish to ask about, for me to be able to read for you. You are welcome to ask questions or just “see what comes up”. I would be honored to help you in any way I can. 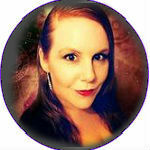 I have been offering online chat and email readings for over 12 years now with excellent accuracy. I have had testimonials left by over 7000 clients in this time. I am also an experienced Astrologer and Reiki practitioner. I have been performing readings since I was a child, but began to do them professionally in 2003.